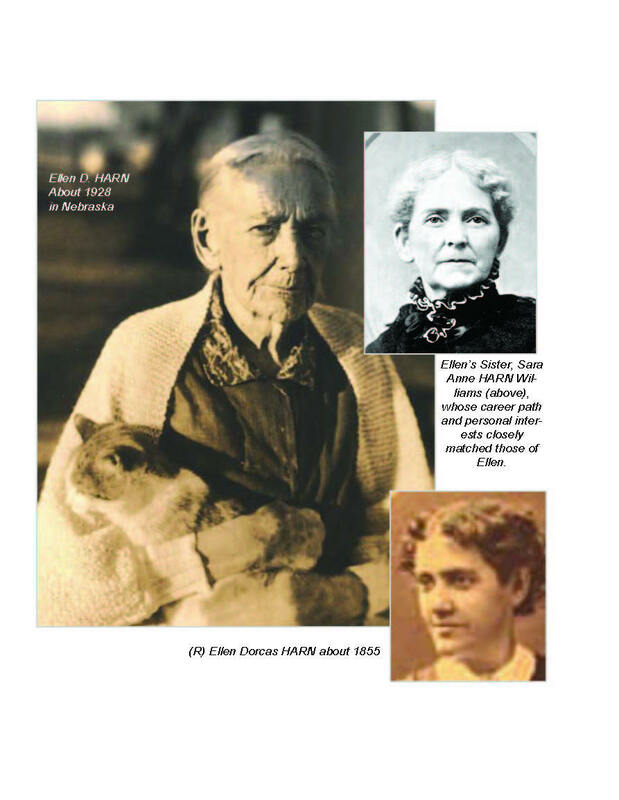 All HARN researchers recognize the invaluable gift left behind by Ellen Dorcas HARN (1829-1930) in the form of her well-known manuscript. She spent over 20 years researching all branches of the family started by John and Dorcas Davis HARN of Frederick County Maryland in the mid 1700s. Much of her information came from postal correspondence, direct interviews and personal recollections. She found important details in the diary of her older, deceased brother, George Upton HARN, who also studied family history. She also appears to have accessed some books containing early historical and genalogical records of Frederick County. Both Esther McCULLEY (spouse of Kenneth Eugene HARN) and Aileen Farleigh LYNCH (descendant of Ellen's sister Sarah Anne Harn WILLIAMS) possess some of Ellen's original documents. Click HERE for a pdf version of the Ellen D. HARN manuscript. Click HERE for a WORD version of the Ellen D. HARN manuscript. The manuscript available on this site was taken verbatim from the website of Steve Harn REDMAN who received it from Esther McCULLEY. because the silent generations rustled. a hairbrush in a tattered velvet box. small yellow light on the horizon.